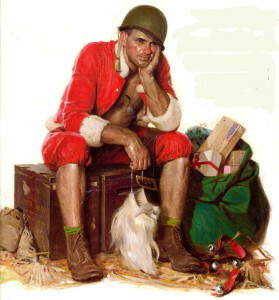 Christmas being only a few days away, we realized once again that it is too late to snail mail Christmas cards.This happens every year. 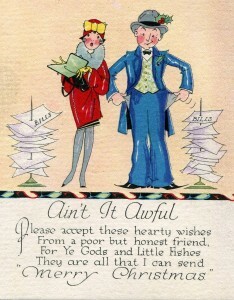 It is not too late, however, to send electronically a selection of interesting Christmas cards from days past. This English card from 1843 is the first known color Christmas card. 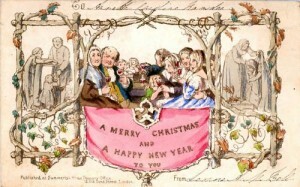 The first black and white Christmas cards only preceded this card by a couple of years which dates the custom of sending Christmas cards to about 1840. 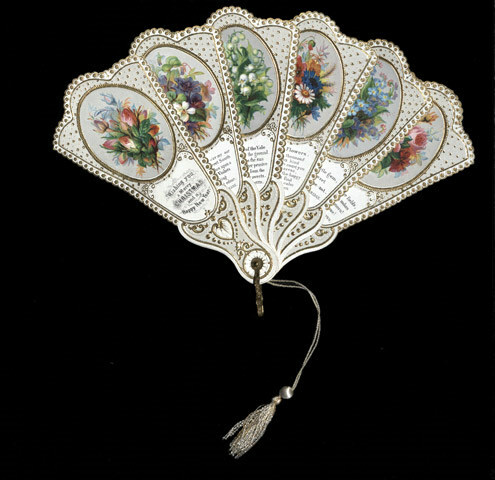 By the Victorian age Christmas Cards had become very elaborate and many were truly works of art. 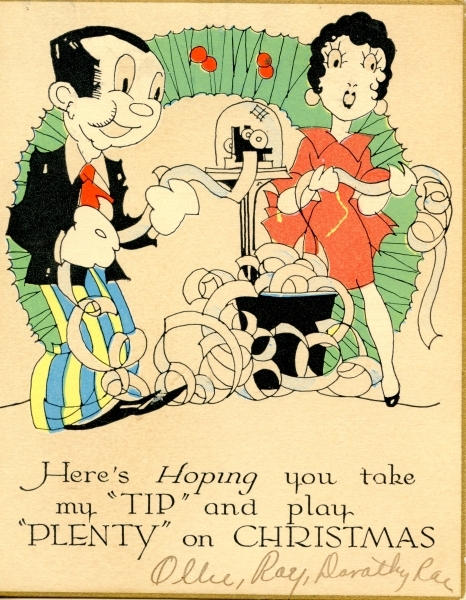 The fan card above is an example of ingenuity in the design of a Christmas card. 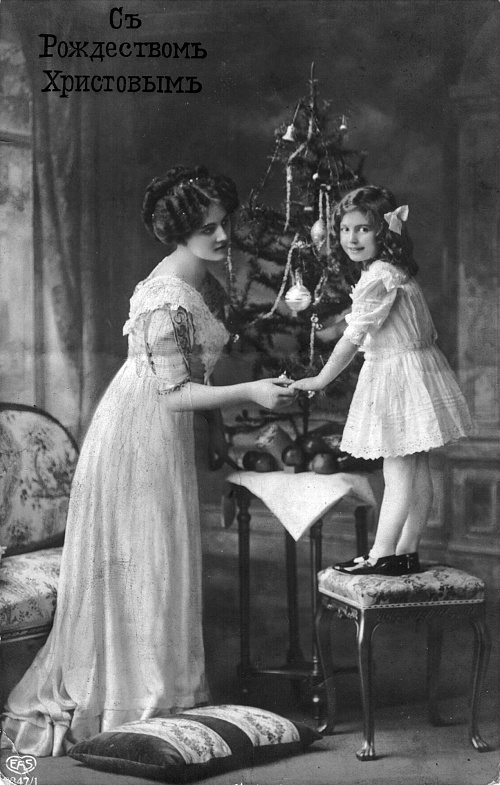 Santa was only occasionally featured in Christmas cards in the 1800’s. 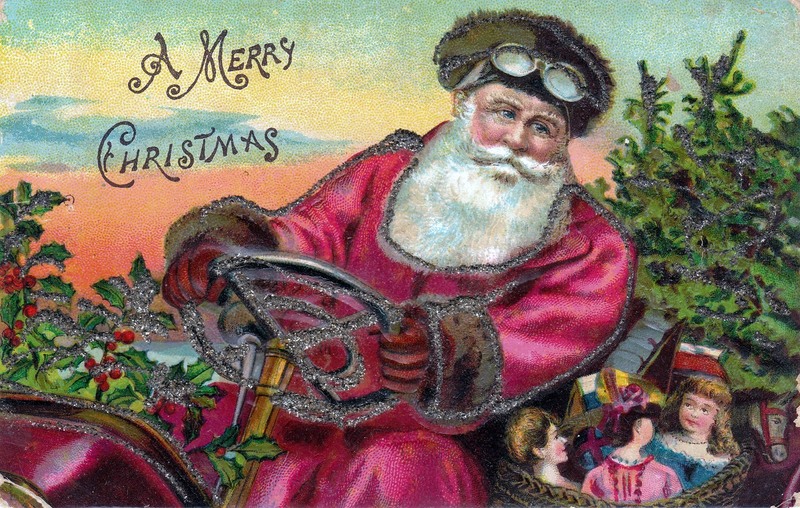 About 1900 Santa became a more common figure on cards when he was often depicted in a horse drawn sleigh on a snowy country road. By 1910, the date of this photo, Santa had graduated to the automobile. Russian cards were often very simple and usually black and white. 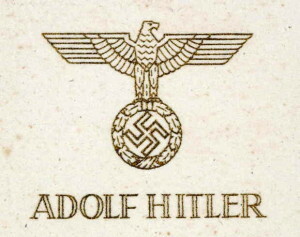 They emphasized family scenes. 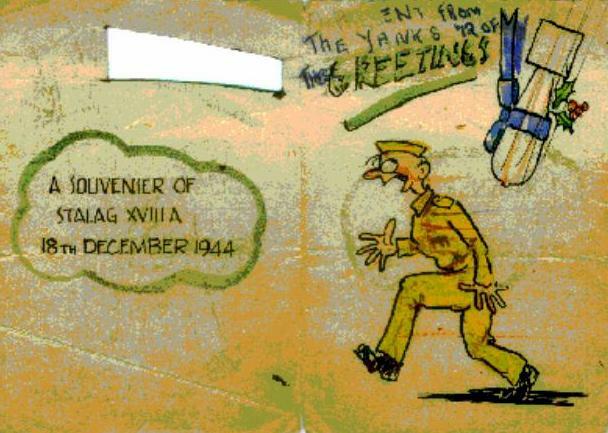 During the First and Second World wars most military units sent Christmas cards from the front to the folks back home. 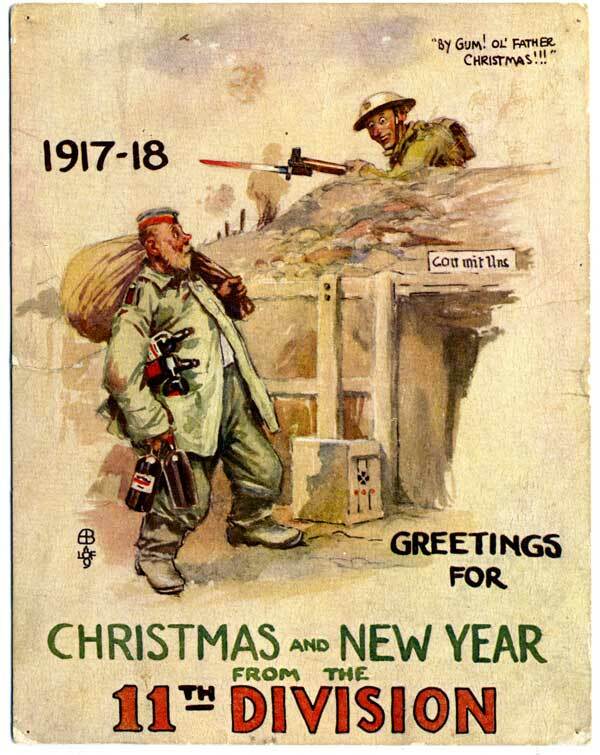 This 1917 card reflects the very black trench humor which had developed after years of futile slaughter in the trenches in France. 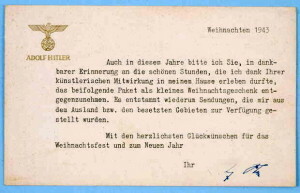 The British 11th Division’s infantryman’s bloody bayonet was unlikely a comfort to either the German soldier or the folks at home who received the card. 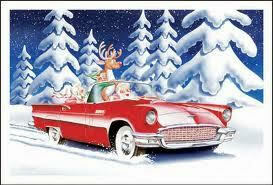 Not all Christmas cars from the front were quite so grim. 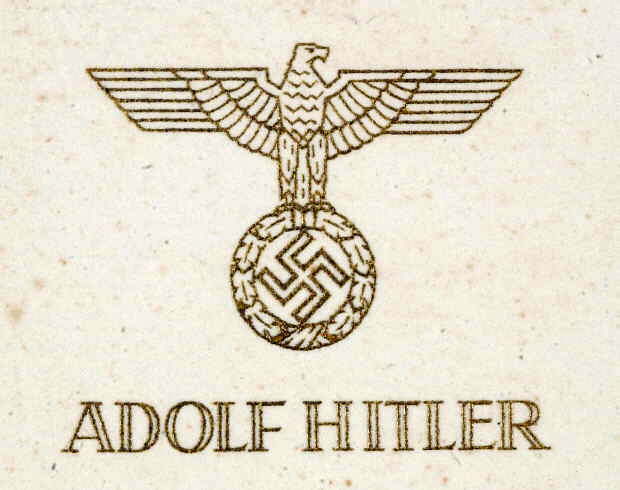 This one from 1916 was sent home by British troops in Cairo. 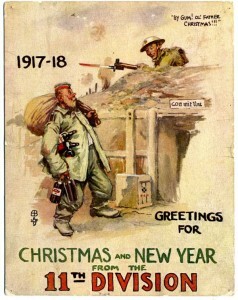 The High Commissioner in Egypt feigned outrage when folks at home complained when this and similar cards began arriving on the home front in time for Christmas. 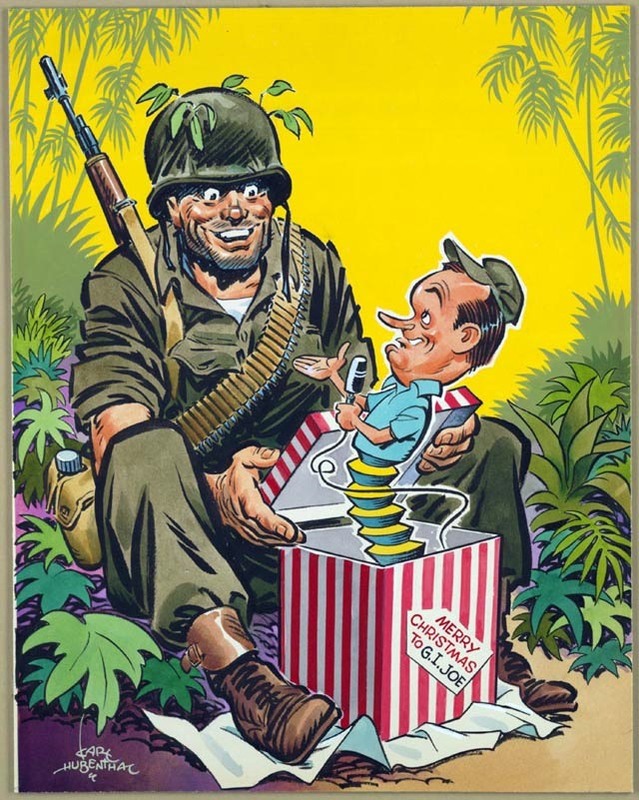 He promised to stamp out such degenerate behavior although he had little time to devote to the task given the military situation facing the Brits in Arabia at the time. This mid 1920’s card was sent during the mother of all stock market bubbles as the happy couple read the ticker tape from a Wall Street which was making everyone wealthy. As we know it soon ended badly. Flanked by bills this 1933 couple at least had a sense of humor about their plight. 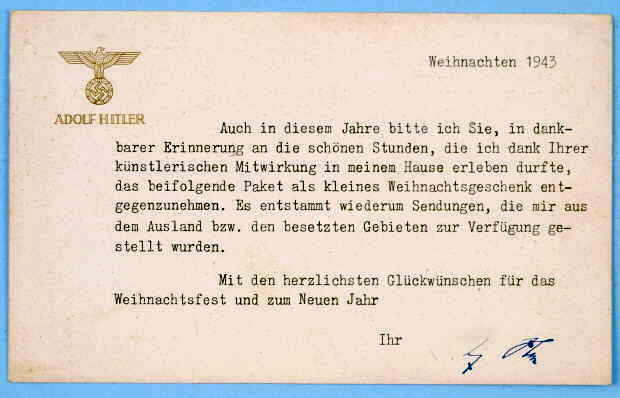 Note the presents which accompanied this card were acquired or more likely looted from conquered and occupied territories which only a person of Hitler’s ilk could possibly consider an appropriate Christmas present. The war bought lots of cards from the troops at the front, even American POW’s in Geram Stalags. 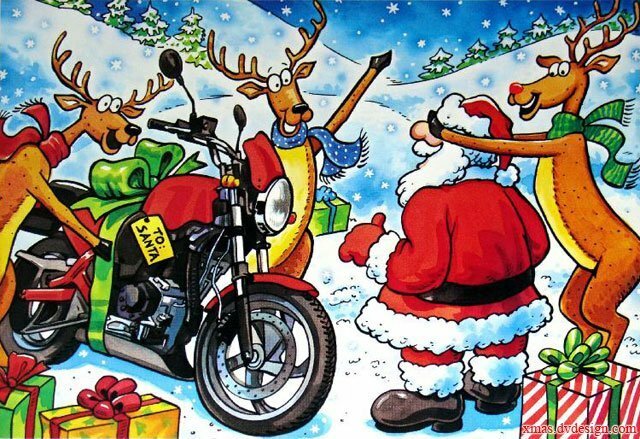 By the 50’s Santa was riding a motorcycle. 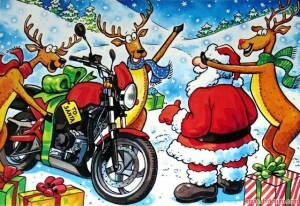 …or he and the reindeer were driving fast cars. The pace of Christmas certainly hasn’t slowed down since.